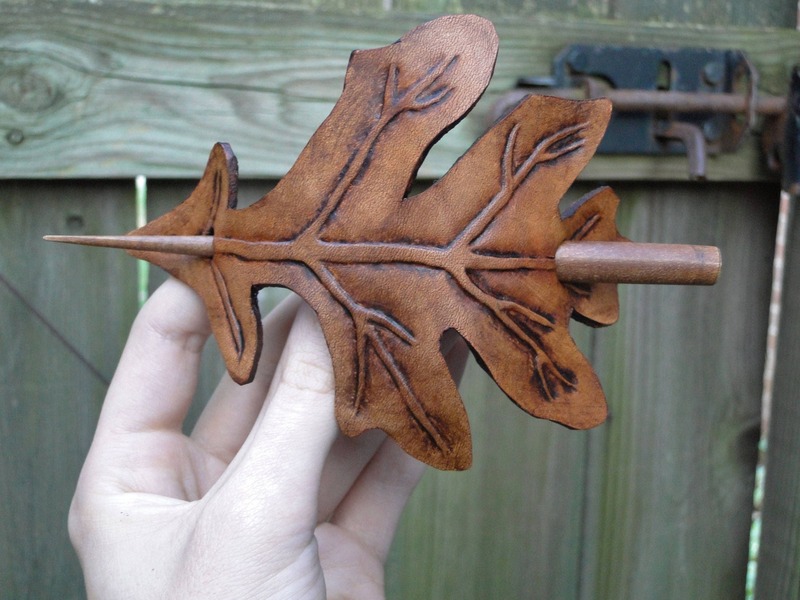 Lovely oak leaf leather hair sticks! 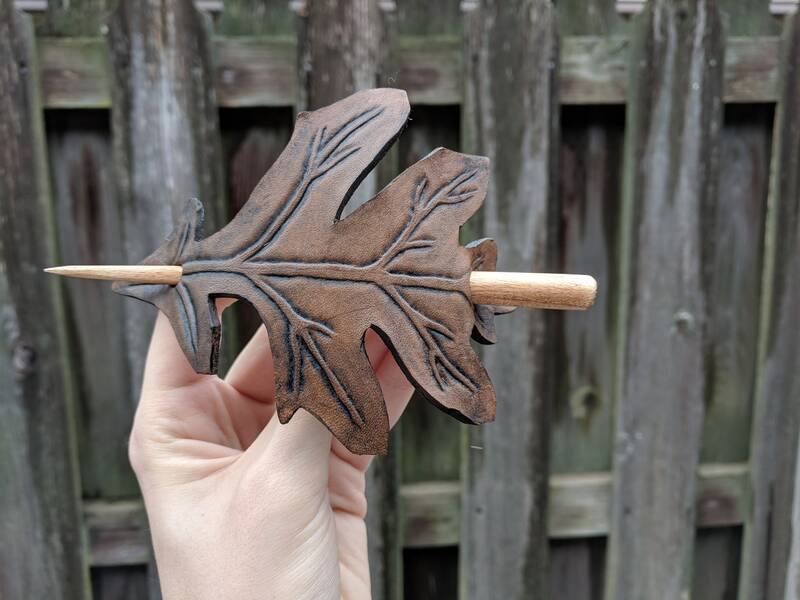 Perfect finishing piece to a costume, or everyday wear - make great gifts as well. Made with high quality sturdy leather. Each piece features carefully hand tooled details. Hand dyed with eco friendly products and sealed, giving a wonderful old world look and feel. 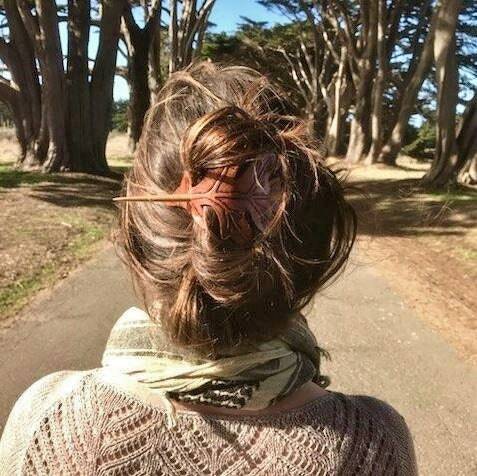 Included are brown wooden hair sticks (exact shade of brown may vary slightly), measuring 6" long. 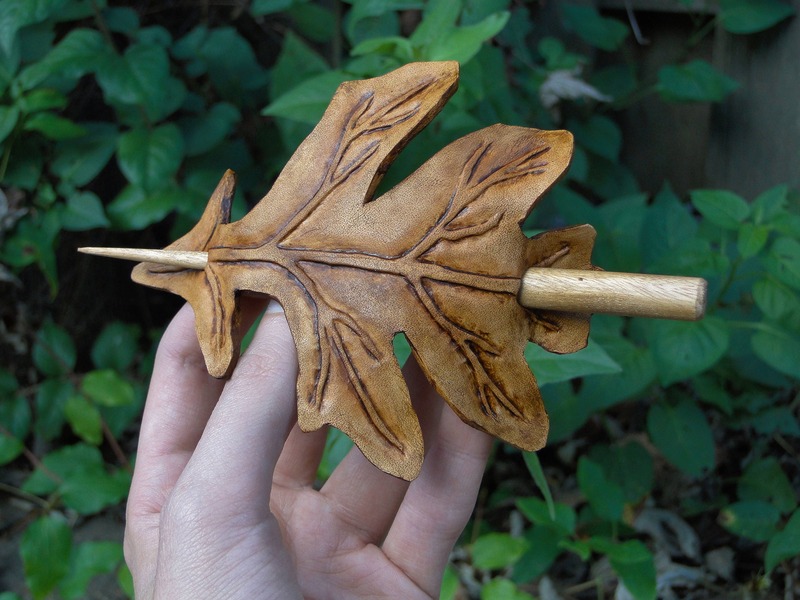 >> Leaf color options: Golden Brown, Reddish Brown or Dark Brown. First photo courtesy of @Willowwhisp. 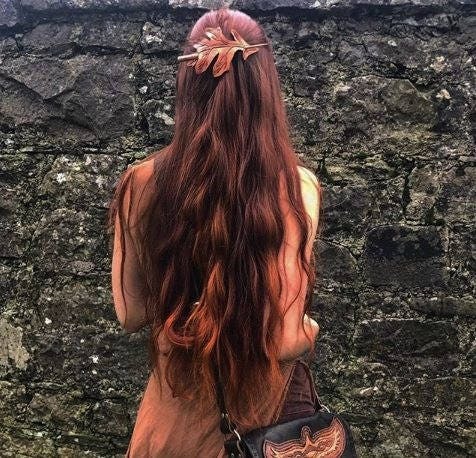 Last photo shared by a happy customer, an example of the hair stick holding up waist length hair. Beautifully crafted. Durable. Holds up hair reliably. Thank you! She also answered a question I messaged her and sent additional pictures. Very impressed with this seller! Hairpin is beautiful and I received it timely.